Support Group Eight While You Shop… You can now help Group Eight with our fundraising while you shop, at ZERO cost to you! 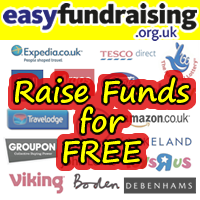 We have set up an Amazon Associates account, which means if you start your amazon shop using the link listed below, then a small percentage of what you spend with be donated to Group Eight by Amazon. This can be from 2% up to 7% of your spend, depending what you buy. We suggest you save it to your favourites to ensure you always earn while you shop! If a number of people use the link for their shopping through the year, then the funds raised will help ensure we are still able to offer our tickets are the low prices, keeping our shows accessible to everyone.